An online petition to rename CenturyLink Field in honor of late billionaire Paul Allen had collected nearly 3,000 signatures by Monday afternoon. But given the lucrative value of naming rights for the public venue, there's zero chance of a change. A movement to have CenturyLink Field renamed after late billionaire Paul Allen will almost certainly go nowhere despite roughly 3,000 signatures already gathered on an online petition. Naming rights have become one of the bigger revenue generators for sports franchises and communications giant CenturyLink last year signed a lucrative deal extending its name on the stadium through 2033. The deal saw CenturyLink shell out $162.7 million over 15 years beginning next season – more than double its previous total package — a significant portion of which will go toward maintenance at the venue. 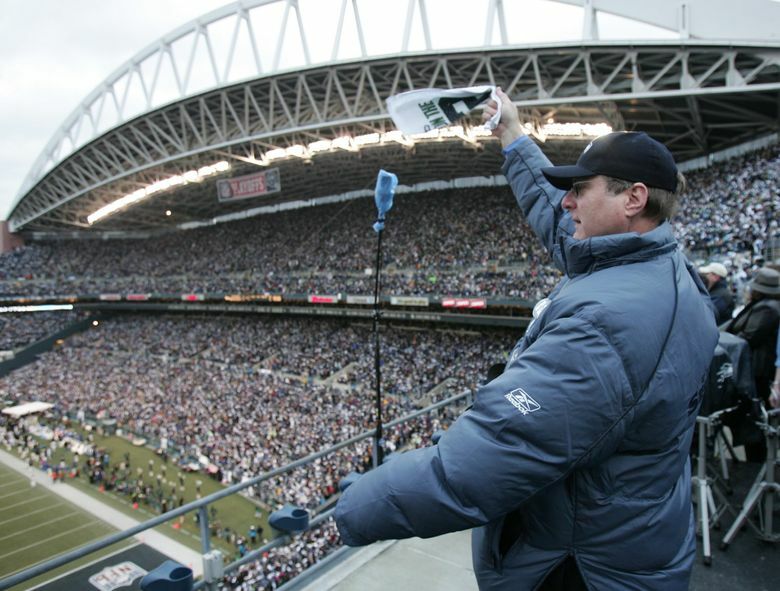 As of noon Monday, more than 2,900 people had signed a petition calling for the stadium to be renamed “Paul G. Allen Field’’ in honor of the Seahawks owner and philanthropist, who died last Monday from non-Hodgkin lymphoma at age 65. But despite Allen’s charitable endeavors and his receiving widespread credit from sports fans for having prevented the Seahawks from relocating to California in 1997, the fact remains he also demanded that $300 million in public funds be used to build the $360 million stadium and accompanying $70 million exhibition center. A statewide ballot measure Allen paid for to seek approval of the funding passed by only the narrowest of margins at 51 percent before the stadium was built and opened in 2002. That means CenturyLink Field, because of the tax dollars used to build it, now is a public facility overseen by the Washington State Public Stadium Authority. That body is accountable to taxpayers for how the stadium’s finances are managed, making it a near impossibility it would forgo an average of eight-figures in annual naming rights revenue even if CenturyLink stepped aside and terminated its contract. At the time of the extension, sports business consultant Dan Barrett – hired by the stadium authority to review the deal – estimated it ranked fifth highest among 24 NFL teams that sell naming rights for their stadiums. “At this point in time, it seems like a very good deal,’’ Barrett told the authority. Under the extension, as with the old deal, 42.5 percent of each annual payment by CenturyLink must go to stadium maintenance. That provision was put in place for the original naming rights deal back in 2004 because of issues over who would pay for maintaining the previous public-owned Kingdome facility used by the Seahawks and since demolished. CenturyLink is to pay $9.25 million for the naming rights starting in 2020, with a 2.8 percent yearly increase to $13.5 million by 2033. Its current naming rights deal has it paying $6.3 million this year. Officials from the stadium authority and CenturyLink did not immediately respond to requests for comment. A clause in the new naming rights deal does allow CenturyLink to change the stadium’s name once during the agreement if bought out by another company. That already happened during the current deal, when the name was changed from Qwest Field in 2011 after CenturyLink bought out Qwest Communications. But there is no provision for CenturyLink modifying the name for reasons other than a corporate takeover of its company. Changing signage is costly at any stadium and is the reason – according to public records – the City of Seattle has allowed KeyArena signs to remain despite Key Bank’s naming deal there having expired in 2010. No new naming rights deal was done at that venue, which is soon to undergo a $700 million renovation that will almost certainly lead to a new naming agreement. Given the money paid to extend its deal, it’s doubtful CenturyLink would even agree to change the football stadium’s name to incorporate Allen’s within it, or water down its own corporate presence on the signage. A major reason CenturyLink paid so much more money to extend the rights deal nearly two years early was because of the success of the Seahawks and Sounders. The Seahawks, as the stadium’s anchor tenant, made five consecutive playoff appearances from 2012-2016, won a Super Bowl and nearly captured another before falling short in the final seconds. The Sounders, part-owned by Allen’s Seahawks, won an MLS Cup title two years ago, made the final last season and are about to embark on their 10th consecutive playoff appearance. One potential move to honor Allen could be finding something else within the stadium to name after him. A sponsorship deal between the Sounders and Microsoft sees the actual turf field itself called “Xbox Pitch at CenturyLink Field” during soccer games. But American football doesn’t use the word “pitch” to describe a field. And having the words “Paul G. Allen Field” to describe the playing surface could get complicated when the stadium name already has “Field” within it, likely requiring a change to “CenturyLink Stadium” or something similar.